Keep yourself hydrated in style with your own personalised AFC Bournmouth Bold Crest Water Bottle. Available as a stylish silver or white Bold Crest Water Bottle, this AFC Bournmouth Bold Crest Water Bottle is fashionable and robust - the perfect gift for any occasion, or a practical treat for yourself. 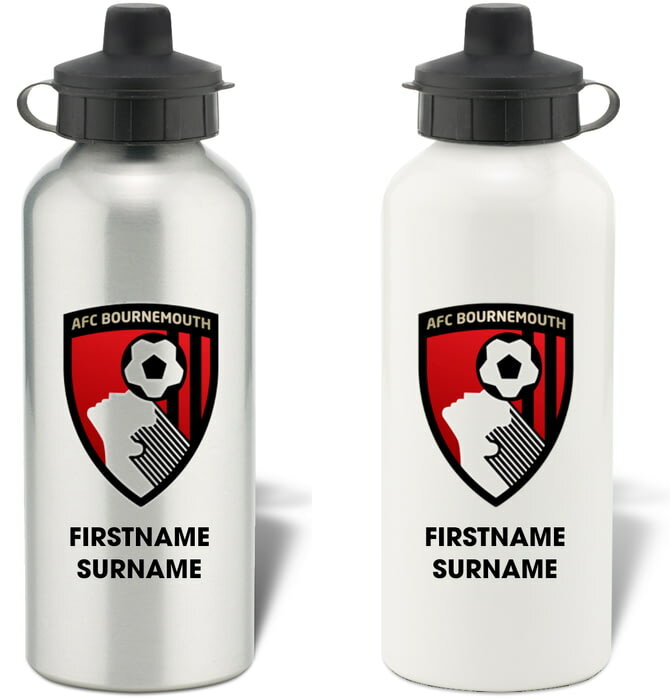 Keep yourself hydrated in style with your own personalised AFC Bournemouth water bottle. 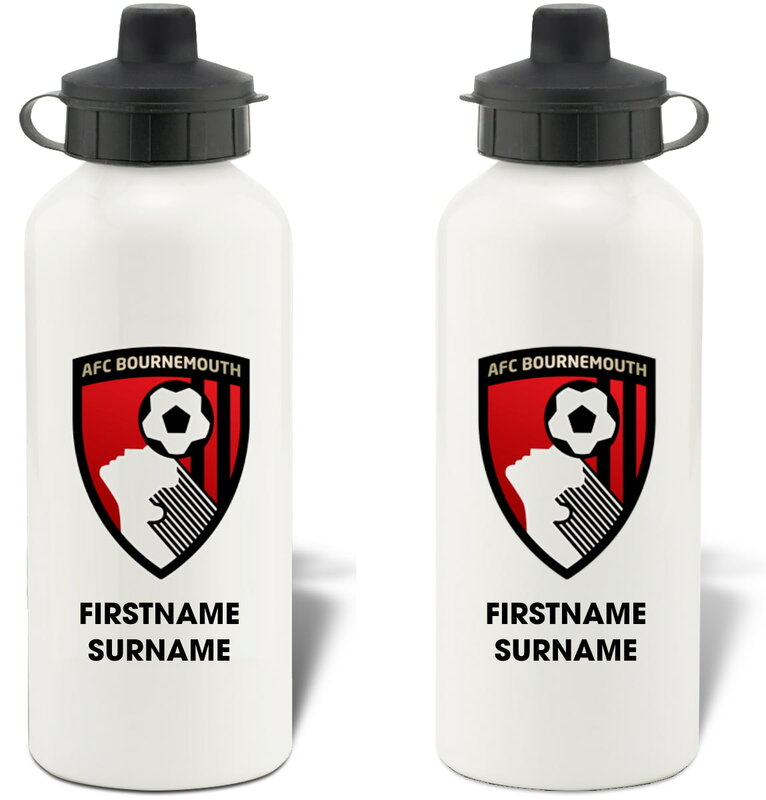 Keep yourself hydrated in style with your own personalised Bournemouth Retro Shirt Water Bottle. 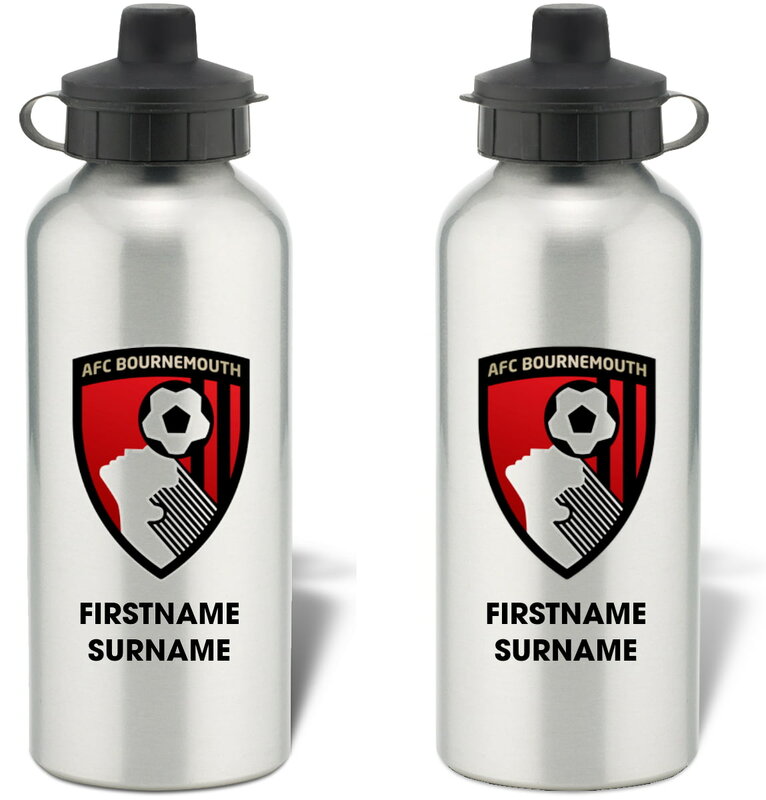 Keep yourself hydrated in style with your own personalised Bournemouth Subbuteo Water Bottle. Keep yourself hydrated in style with your own personalised Bournemouth Evolution Water Bottle. This AFC Bournmouth Bold Crest Print is a fantastic gift for any occasion. This official, fully licensed AFC Bournemouth Personalised traditional style whisky glass can be used on a daily basis or put on display as a memento.